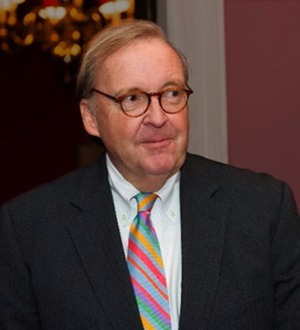 Thomas J. Dougherty has been a partner in the Litigation Group of Skadden’s Boston office since 1984. Mr. Dougherty has been active in many of the major con­trol contests and other court and SEC challenges to company disclosures and officer/director conduct in the past 20 years. He has been heavily involved in liti­gation that has fashioned the standards by which subsequent cases have been governed, including those involving AspenTech, Citigroup, Com­puter­vision, Continental Cablevision, EMC, Ernst & Young, General Electric, Guardian, Hycor, Instron, Interco, John Hancock Advisers, Lotus, MassMutual, Polaroid, Prospect Street, State Street Funds, Stratus and Unitrode. Mr. Dougherty focuses on the representation and de­fense of compa­nies, their officers, directors, under­writers and audi­tors. He has been involved from boardroom to court­room in numerous significant cases before juries and judges in federal and state courts in Massa­chusetts, Delaware and elsewhere. His experience includes litigating in defense of corpo­rate actions and disclosures, proxy contests, hostile takeovers, and numerous class action and derivative cases. Harvard Business School has done a case study on his defense of a high-tech defendant against securi­ties fraud allegations. He successfully has defended companies and their management in major class action trials in Massa­chusetts state and federal courts against allegations that directors “froze out” and otherwise defrauded minor­ity stockholders. Because Mr. Dougherty represents a number of high-tech companies, he has litigated numerous expedited cases protecting (or defending against allegations of theft of) trade secrets and confidential information, enforcing or resisting enforcement of covenants not to compete, and protecting other interests such as licenses, copyrights, trademarks and corporate opportunities. Mr. Dougherty repeatedly has been selected for inclusion in Chambers USA: America’s Leading Lawyers for Business, including in 2014, where he is ranked in the top tier for securities litigation. He also has been selected in The Best Lawyers in America. He is the author of The Directors’ Handbook.